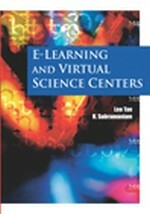 This chapter points to the potential new information architectures hold in the design of virtual science centers. Science centers are treated as education-focused institutions and the argument is made that that extending the power of the science center as an educational platform warrants an answer to the question of how to share knowledge across the community of visitors without physical co-assembly. Two approaches toward information design are discussed: community-driven ontologies and social information filtering agents. These approaches are introduced within the context of two pieces of previous research and hold great potential when applied to the Web environment of the science center.